The pace of change in NYC can be quick, and a bit painful too. The latest case in point: Dumbo’s Shibui, which will be forced to relocate next month. Where? Not clear. Why? To make way for a baseball practice facility. For the last 20 years owner Dane Owen has been scouring Japan for all sorts of tansu (the traditional Japanese storage chest) tools, textiles and homeware. 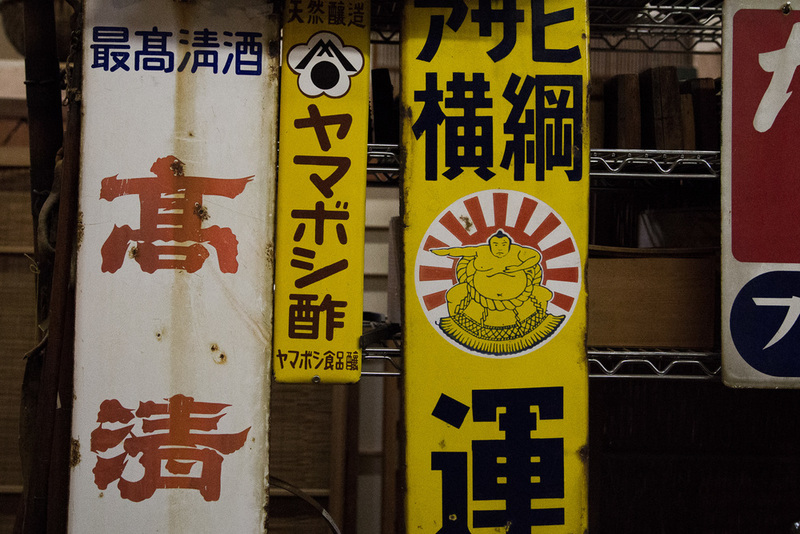 There’s more history in Shibui than many museums, and all that has to move soon…very soon. So while Owen figures out his next move, hopefully Brooklyn he says, he’s also holding a sale and trying to unload as much as he can to make the move a little easier. Owen goes over all the pieces, especially the tansu, making repairs to the antique furniture with traditional methods and tools. He showed me how he makes the wood nails, the traditional material, from old pieces of Japanese scrap wood to fix drawers and parts of the tansu. This allows the wood to swell and shrink with the humidity without splitting and also maintains the value of the pieces. These tools were what first drew me into Shibui. I visited recently and picked up a Japanese hammer from the 20s and Owen happily showed me his work shop. Japan's love affair with America has long been documented, but if this is the sort of aesthetic you’re after, now is certainly the time to find your way over to Dumbo and explore Shibui, if for no other reason than seeing this many Japanese antiques elsewhere would likely require a flight to Tokyo.